Our company has painted thousands of interior painting projects. We specialize in commercial and residential painting. Proudly using high quality interior paint from Benjamin Moore. Update your existing exterior paint with our services. We use a brush and roller technique to assure an even coat of paint. Lasting far after we're gone. Protect your deck and fence from the extreme elements. 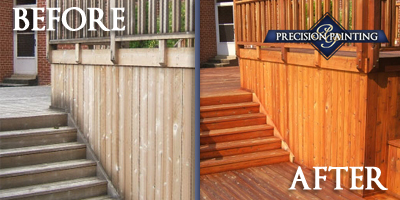 Staining your deck or fence adds a coat of protection preventing mold, mildew, and other damages. We use oil and latex based for a high quality finish. 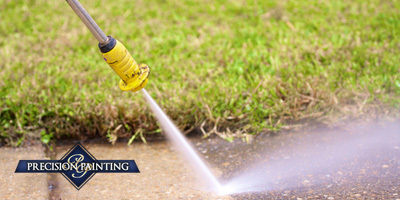 We offer complete pressure washing services for your residential home.